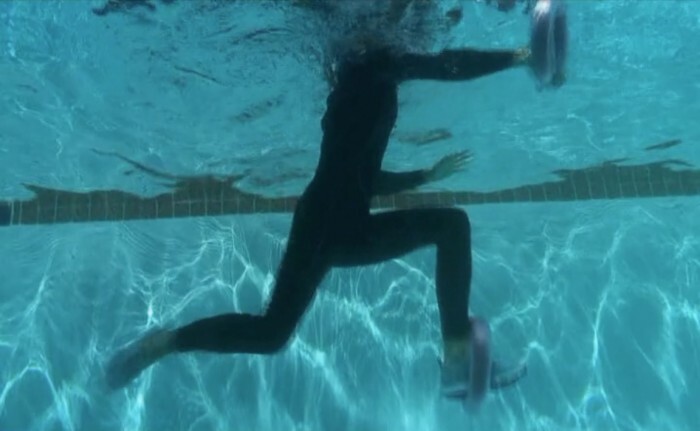 An aquatic exercise device is provided that has a body made of foam that extends 360 DEG about an axis and at least partially defines a central aperture that extends through the axis. The body has an inner half with an outer surface oriented generally towards the central aperture. The body has an outer half with an outer surface oriented generally away from the central aperture. The entire outer surface of the outer half is convex in shape, and the outer surface of the inner half is convex in shape along an arc length of at least 270 DEG of the inner half of the body about the axis. A ledge extends from the inner half and at least partially defines the central aperture. 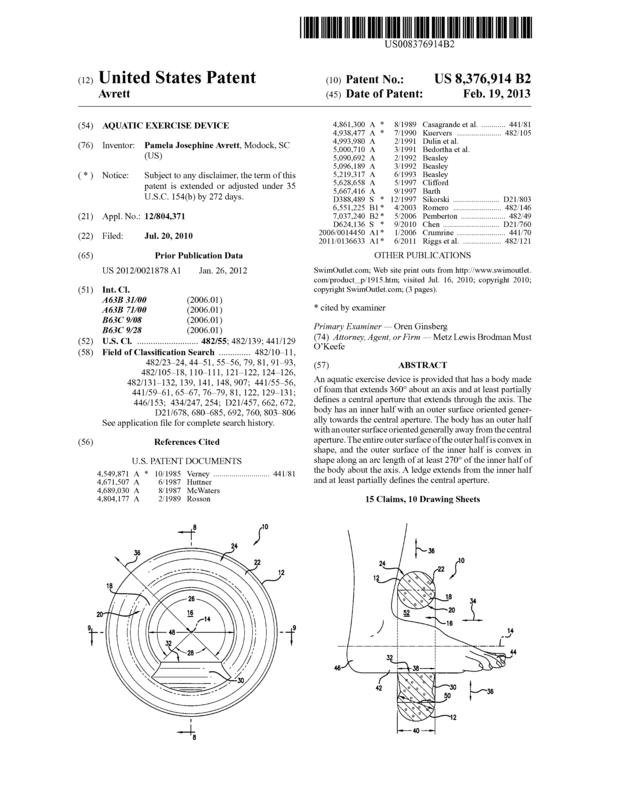 Page created at 2019-04-26 5:56:21, Patent Auction Time.